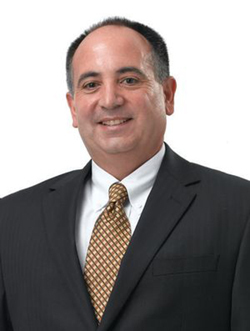 Mr. Romeo has more than 28 years’ experience in the financial services industry. Specializing in retirement planning for individuals and small business owners, he puts his clients’ interests first in order to develop their unique financial plan. A graduate of the Pennsylvania State University, Ron believes in the importance of continuing education and has completed course work from many industry education sources including, but not limited to, the American College in Bryn Mawr, PA, where he obtained the designations of ChFC (Chartered Financial Consultant) and CLU (Chartered Life Underwriter. Mr. Romeo has earned many industry distinctions, including but not limited to, the *Five Star Wealth Manager Award in 2017. Still his client’s success is his biggest reward. Ron believes in giving back and has enjoyed volunteer work at his church and a number of community organizations.